Moms and dads are some of the best shoppers for retailers. Target has a plan to win them over: Focus on the kids. On Thursday, Target said it will extend its trendy kids' clothing line, Art Class, to toddlers. Target has built a multi-billion dollar kids' clothing brand, Cat & Jack, but it found some parents want a more stylish look for their kids, too. The company hopes that rounding out the edgier Art Class brand for toddlers will plug gaps in its children's lineup. Parents are crucial to Target's success because they spend more every year than shoppers without children, the company says. Despite the declining birth rate in the United States, the kids' clothing market is booming: It grew more than 4% last year. A combination of factors has buoyed growth. Many parents today are having children later in life and are further along in their careers. That means they have more disposable income to spend and room to trade up for flashy clothes for their little ones, according to Ayako Homma, an analyst who covers the children's clothing market at Euromonitor International. Target has taken aggressive steps to woo parents and capitalize on an opening in the market. Former heavyweights Toys "R" Us and Babies "R" Us are gone, Gymboree has filed for bankruptcy a second time and will close around 800 stores, and Carter's and The Children's Place are shutting hundreds of stores. Target added diapers and baby wipes to its Cloud Island brand last month. It has also overhauled the nursery page on its website, stocked up on more toys than in previous years, and reconfigured a handful of stores to make it easier for parents to find essentials like baby bottles and test out strollers and car seats. The company hopes its tactics will make it more convenient for time-pressed moms and dads to consolidate all of their shopping at its stores. "Young parents are busy, working, and also raising children at the same time," said Homma. "They prefer to shop a variety of products, from groceries to kids' clothing, on one visit to save time." Target's strategy to appeal to parents centers on expanding choices of its exclusive kids' clothing brands. Target believes it has an opportunity to claim a bigger piece of the fragmented $34 billion children's clothing market in the United States. The company currently controls 3.2% of the industry, fifth behind Carter's, Gap, Nike, and Children's Place, according to Euromonitor. Social trends, including the rise of "mini-me dressing" inspired by celebrities like Beyonce and Kim Kardashian, have driven demand for fashionable kids' clothes, said Homma. More parents are posting pictures on social media dressed in matching outfits, and retailers want to capitalize. JCPenney, for example, created a clothing line last year, Peyton & Parker, for "mom to dress her family" and create a "picture-perfect moment for all of her social media channels." Art Class fits within the trend of chic clothes for kids. Target originally launched the brand in 2017 for kids ages 4 to 12 complete with colorful pants, smocked dresses, and graphic tees. Parents are "looking for apparel and accessories for their kids that reflect their own styles," said Jill Sando, Target's senior vice president and general merchandise manager. Target thinks it can draw in more parents with former rivals like Toys "R" Us disappearing. 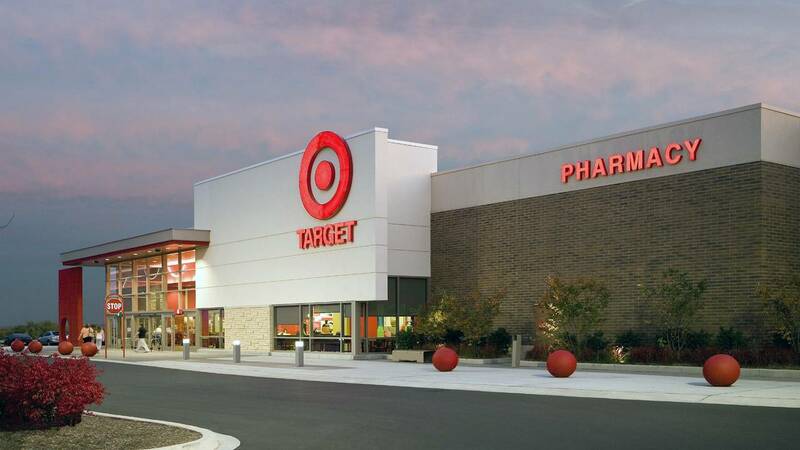 "We're upping our game as others exit this space," Target chief merchandising officer Mark Tritton said last year of the company's efforts in its baby division. Although parents are also key shoppers for Walmart and Amazon, those stores have trailed behind Target in expanding their own kids' clothing brands. Target first began overhauling its kids' business in 2016, launching Cat & Jack. The brand, which replaced previous kids' lines Target had sold, reached $2 billion in sales in a little more than a year. Cat & Jack stood out through inclusive and eco-friendly marketing, said Homma. It also started an adaptive line for kids and toddlers with disabilities. The following year, Target introduced Art Class to help it fill out its kids' selection and give parents its own brand options beyond Cat & Jack. Target said the response to Art Class over the past two years has been strong, so it's rolling it out for toddlers at around 800 stores and online beginning next week. Target made early moves to grow its kids' clothing brands, but rivals have caught up. Last year, Walmart launched Wonder Nation, its first ever kids and toddlers' brand, while Amazon introduced Spotted Zebra. The clothing market for toddlers has become saturated in recent years, and Art Class could face challenges standing out. Stitch Fix expanded into kids last year for the first time, while Gap launched subscriptions for BabyGap and Old Navy Kids. A range of boutique startups, including Maisonette, have gained traction, too. "Shoppers have so much choice," said Sucharita Kodali, analyst at Forrester Research.